1. Log into your Rewind account at https://app.rewind.io. 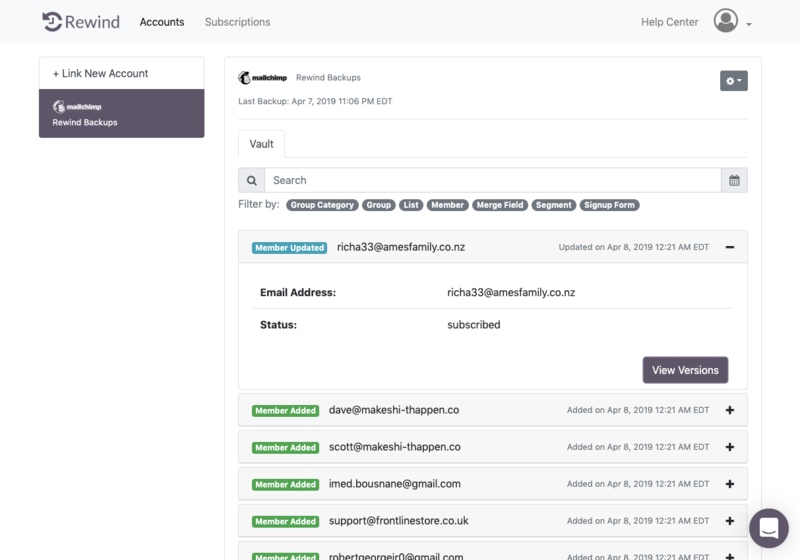 If you have more than one Mailchimp account linked to your Rewind account, make sure that from the left-hand side of your homepage, you've selected the Mailchimp account you wish to view. 2. On the upper right-hand side of the homepage, click on the gear icon. 3. From the drop-down list, click Backup Now. Note: The backup can take anywhere from from a couple seconds to several minutes depending on the number of items in your Mailchimp account.